NM Engineering Stainless Steel Brake Lines for R55 R56 R57 MINI Cooper, Cooper S, Clubman, and Cabrio. 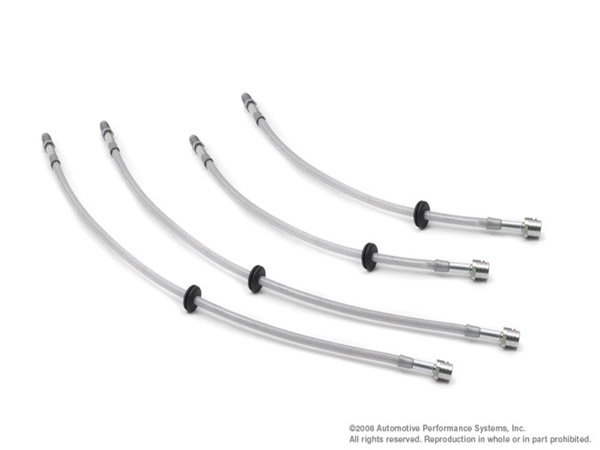 The NM stainless steel braided brake lines are specifically engineered, designed and assembled for your MINI. The inner Teflon tube is covered with a high-quality stainless steel braided weave provides durability and positive firm pedal action. A silicone shell protects the stainless steel against oxidation. These come as a set of 4, 2 front and 2 rear lines.